Can you tell me how to get, how to get to… dang, where was it? Oh right right, Sesame Street! Have you ever heard of it? Of course, you freakin’ have! And if you haven’t then, well, you’re a liar. 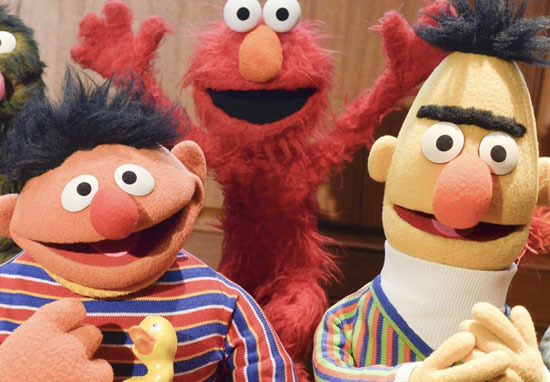 Sesame Street has been bringing us joy, laughter and most importantly, education since 1969, and to this day is still known for its incredible ability to spread positive universal messages and to never skirt over real-life, important issues. If you watched it growing up (and if you didn’t, what on earth were you watching!?) you would have been a variety of practical life skills such as simple math and the order of the alphabet, but also more meaningful and significant life lessons such as friendships, the ups and downs of life and all matters of growing up. And who taught you these wonderful things? The beloved colorful and varying characters of the Sesame Street cast themselves! And what a variety it is. From Big Bird to Cookie Monster, to Elmo and even the street’s resident grouch, Oscar the Grouch and many, many more. They not only provided the backbone of the show itself but with their varying stories, backgrounds, and lifestyles they taught us some of the most important things about many aspects of life… not just the practical stuff we needed to know in preschool. Look at all those happy faces! Gosh, I love this show! 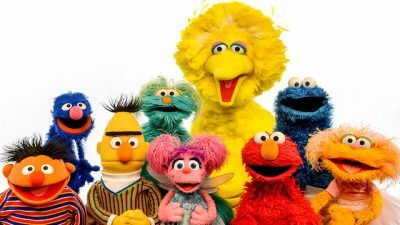 And although it’s actual main aim was to basically educate children, the magic of Sesame Street and its residents is how they were able to subtly discuss their ideas and themes, but at the same time making a huge impact. 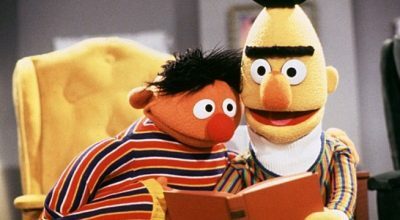 Well, it looks as though these lessons are still continuing to this day, as in a recent interview with Queerty, Sesame Street writer, Mark Saltzman, FINALLY confirmed, after many, many years of speculation, what I’m 99% sure most fans of the show already suspected, or what most fans, such as myself, just assumed anyway and never thought to question, but more importantly, what really doesn’t make any difference at all to the show or its wonderfulness other than confirming that it’s responsible for yet ANOTHER positive message. 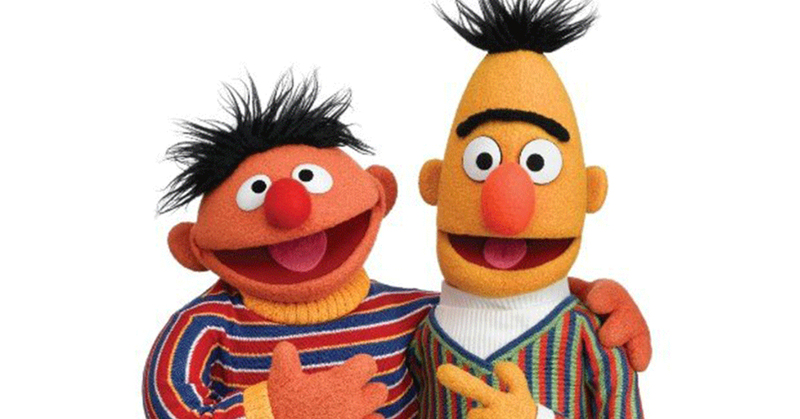 So, basically, Mark pretty much revealed that Bert and Ernie were actually a reflection of his own relationship with his partner, Arnie. NO, I’M NOT CRYING, YOU’RE CRYING! 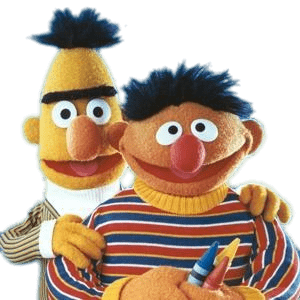 However, as you can imagine way back then, it wasn’t easy to introduce gay characters into Sesame Street, and Mark couldn’t just write them in. In fact, he still remembers actually pitching gay content to the education department at the time in order to, as he put it, ‘get it off my conscience,’, but his attempt was pretty much immediately stonewalled. So instead he focused on writing ‘Bert & Ernie’, saying that he ‘didn’t have any other way to contextualize them’, thus his life and experiences with Arnie was the basis for how he wrote the characters and was simply and naturally in the characters own lives. How sweet is that! ?